This former farmhand cottage has slightly larger internal space than Mole and shares the same rear aspect over looking Riverton’s lawned gardens with our stream nearby. Shared bathroom and wc facilities. 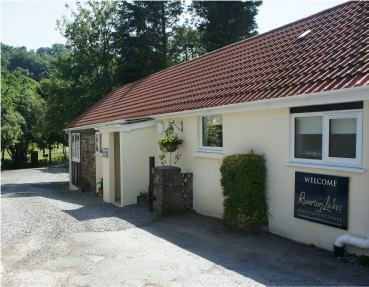 Recently fully modernised comfortable cottages set in 16 acres of well maintained grounds with private coarse fishing lakes and plentiful parking. 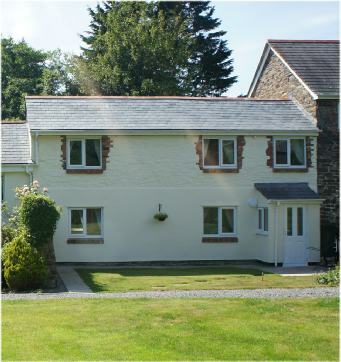 We offer 3 self catering cottages, each one different offering unique benefits depending on your requirements. Each cottage enjoys double glazed windows and doors, oil fuelled boilers, bathroom suites and well appointed kitchens with built in electric ovens & hobs, fridge & freezer, dishwashers & washer/dryers. We have also installed flat screen TVs & DVD players and FreeSat digital receivers. Internet access via our free WiFi service for use of our guests. 1 x twin room on the upper floor with wash basin and wc and 1 x twin on ground floor with en suite bathroom. Anyone using a wheelchair will appreciate easy reach light switches, widened doorways, ground level facilities and uninterrupted access at the front via a ramp and level access through the rear doors onto a decked patio area. Camping. We’re sorry to inform you that we no longer accept tents or camping as we can not supply the level of facilities that we would wish to. We will make good use of the land for other purposes. A search on the internet will reveal many other sites in this beautiful area. Our angling lakes are of course open to you where ever you choose to stay. Smoking is not allowed inside any of the cottages, we need to keep them clean and fresh for all customers and staff. Ash trays and bins are provided in the garden areas which we request you keep clean and tidy. 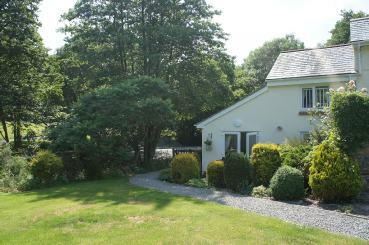 This single level cottage stands alone on the opposite side of the driveway from the main house. Kingfisher benefits from its own discreet rear garden and recently paved terraced area, ideal for those evening barbecues.